1) When I had my Cosmo-induced mental breakdown back in September, there was one section I didn’t pay much attention to. If you’ve read Cosmo, you know the one I’m talking about because you’ve skipped over it. There’s an article towards the back of every issue featuring true crime or horrible drama– terrible things happening to pretty blondes with perfectly straight hair and teeth. The picture is always a blurry female shape walking alone, ripe for the abducting and torturing, and the article has some sensationalist headline (So Young… So Naive… SO COMPLETELY MURDERED) that makes you want to stop and read but also keep going and never, ever find out what happened to the blonde girls and their nice teeth. What have you done with them?! 3) I’ve never been a big risk-taker. I like rules and schedules, and when I don’t use them it feels less like “breaking free” and, not to be overly dramatic, more like “throwing myself into a raging death spiral from which there is no return”. I don’t even like playing the board game Risk. As I was running down the street, trying to remember how breathing works and not being kidnapped or murdered in any way, I came to a sudden, horrifying realization: I’m a chicken. Not an adorable, marshmallow Peep kind of chicken. I’m like the Cowardly Lion’s agoraphobic cousin, Chicken McScaredyCat. I’ve been living my whole life thinking I’ll ultimately end up a blurry picture in a stupid magazine and it’s really holding me back. The family resemblance is striking. For example, I once begged my parents to go with me on a pirate ghost ride at the beach, and when they refused, I got so scared that the guy running the ride felt sorry for me, patted my head and told me I’d be ok, then gave me a free string of beads “for being a big girl.” This would be totally acceptable for a nine- or ten-year-old. I was 20. Watching Scary Movies: You know how some girls are all, “I hate scary movies! Eeeee!” but they actually mean they squeal adorably and snuggle up with their significant others? I am not that girl. I can’t watch scary movies with any kind of cuteness. I spend the entirety shaking, biting my nails, flapping my hands like Kermit the Frog, and trying not to pee on anything. 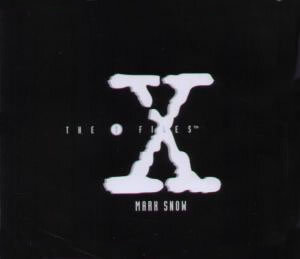 My criteria for “scary” is absurdly low: I can’t listen to The X-Files theme song without wanting to cry a little. This means my dad whistles it A LOT. That’s very funny! Start with small talk, why not! But you know, go for the shy looking person who’s also in the corner choking on biscuits, then work your way UP to the hat wearing socialite. Works for me! You should have warnd that this post was funny… Just burst out laughing in a quiet office. Only slightly embarrassing. Hilarious stuff! Only when I get angry enough do I get over my fears. The rest of the time I sing loudly to fight off the feeling that there are boogeymen behind every door in my house. I still hate the dark. I love night lights. I’ve got them all throughout my house. BE SCARED, BE SAFE. That’s my motto. Baby steps. One step each time out of your comfort zone leads to another one next and another and another… I used to be so shy that if anyone stepped into my comfort zone I flinched and looked down at my feet. I was so lonely and miserable. Now, I can talk to strangers in the checkout line at the store as if they were my best buddy because of brave, nerve-rattling baby steps… The important thing is that I took them. Ya know, I was a complete OCD freak with a fear of everything; I’m actually phobic of flowers and sometimes I’m afraid of my salad. It took me a lot (of embarrassing moments) to become less of an anti-social freak but it can be done! -what she said…and maybe drink Cosmos instead of reading Cosmo. Your fears should melt away like hot oil. You’ll be schmoozing in no time. I find it distinctly strange that the phrase ‘cat lady’ is so specifically designated. I don’t know of many instances of ‘cat men’ besides Ernest Hemmingway, and he was, well, pretty extreme in all pursuits. I’d like to know the real percentage of cat ladies in the world. I’m not sure that’s your destiny, I’m not sure you can be so self-aware and end up in that reality. My cats are fairly receptive to small talk, or they just put up with me because they don’t have the dexterity to open food cans. As far as hats, you’re on your own. Funny post! I used to feel like you did. But the I did some research. This tells me that women need to stop fearing the world and start choosing better partners. I for one, am going to enjoy my freedom and walk across America solo this year. Yeah, but, on the other hand, being cowardly gets you free things. Like beads. And you didn’t even have to lift your shirt. Here’s the best piece of advice I can give you… Feel the fear, and do it anyway. Trust me, I do lots of stupid things, and I even do some things that take lots of courage and building up to, but sometimes I really do want to tell that girl she has a nice hat. I am horribly self-conscious at times, it’s something I still work to get over, and the worst part is I’m a horrible blusher. So if you’re freaked out, picture me (though you don’t know me), telling someone “You have a nice hat,” while my face flushes and turns some hue slightly lighter than royal purple for no reason because she hasn’t given me a stink look for talking to her and there’s nothing in my teeth or anything. So I feel silly and horrified for no reason, but I’m glad I did it anyway. To overcome your fears, just do what I did: turn off all your emotions. Even the good ones. I found you when you were freshly pressed a few weeks ago. You remind me of myself 15 years ago. And a lot of me still. I found out that my cautiousness was a strength after marrying my husband and having his mini-me son. You’ll grow into it someday, just be patient. I totally relate to this post. My friends often say I’m paranoid but I like to think of myself as cautious. I won’t go down dark alley ways or stairwells alone or get into first dates cars. Which all just sounds common-sensey to me. When it comes to scary movies I am a complete baby too. I can’t watch any scary movies at all. Even though I logically know that none of it is real they still scare the bejeesus out of me and will occasionally give me nightmares (Signs gave me nightmares lol.) Again though I like to think of this as a good quality, it means we’re not desensitised. Can’t wait to see who you nominate! Thanks for keeping it funny! You really make me laugh. I hope you manage to implement a small part of one of the things on your “man up” list. This post resonates with me SO much. I’m always wishing I was the life of the party, but it’s just not in who I am! I would be right there with you choking on cookies. I am a terrible coward in most areas of life as well. But I ask you this: why are pieces of sushi so large to begin with? Even if you can wield chopsticks properly and gracefully direct a piece of sushi towards your mouth, there’s no way some types of sushi (green dragon rolls, I’m talking to you!) can be eaten with one bite. Have you ever gracefully gnawed through sushi nori and kept the second half of a piece of sushi intact? Me neither. What gives? this post makes me think you might be my long-lost sister. in a really non-creeper way, though, don’t get me wrong. one time walking home from the bus stop, i saw a shadow move and ran (at a speed i wasn’t aware was possible for someone of my stature) for four blocks. it was likely a squirrel, but hell if he was going to catch me! 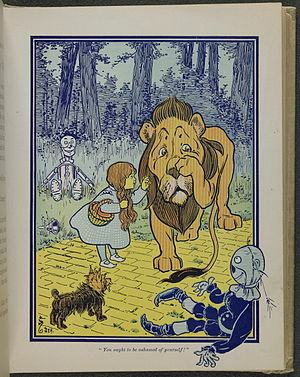 I LOVE the cowardly lion and used to sing “King of the Forrest” to my old Persian cat to cheer him up after his humiliating “lion-cuts” at the groomers. I really enjoyed this piece. It’s acceptable to pick-up sushi with your fingers. hehe….next time your at a party walk upto to Mr. Chatty-McPOpular and say,” Hi, my name is Megatron, Fun Megatron!”..,.you’ll find it’s a very effective ice breaker! If he was cute, you should have totally asked the guy running the ride to take pity on you and go with you on it……Also, I hate talking to strangers as well. I never know what to say, it’s like my mind just goes blank, then I panic and blurt out something stupid like “do you like apples?”…weird.